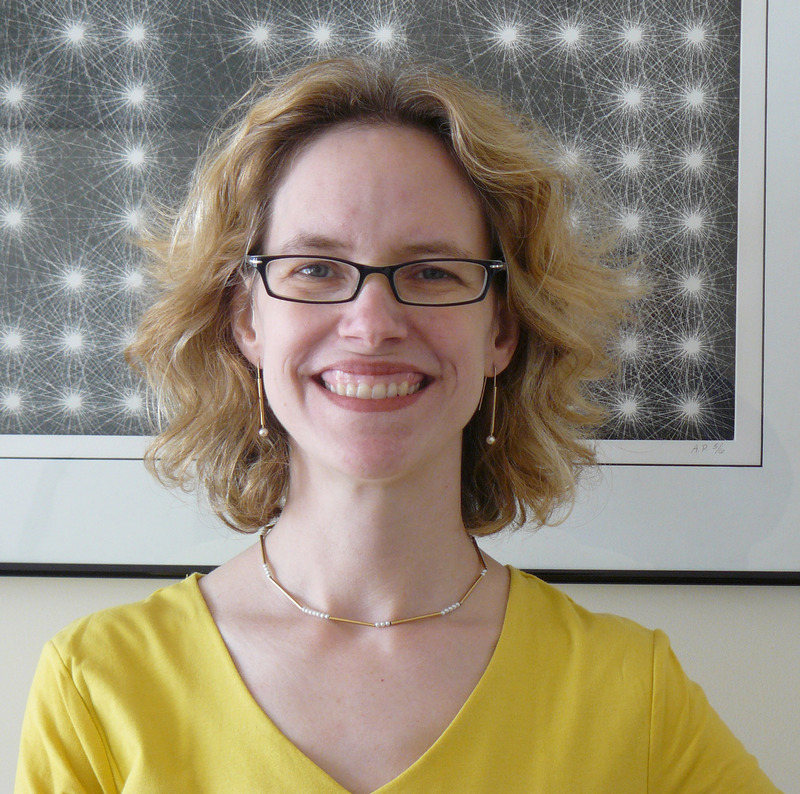 Ellen Lupton is a writer, curator, and graphic designer. She is director of the Graphic Design MFA program at Maryland Institute College of Art (MICA) in Baltimore, where she also serves as director of the Center for Design Thinking. As curator of contemporary design at Cooper-Hewitt, National Design Museum since 1992, she has produced numerous exhibitions and books. Lupton fused her talents as a writer and designer with an abiding interest in post-structuralism to visually construct the principles of graphic design history and theory on a shoestring budget. She and her grad students produced D.I.Y. : Design It Yourself, a manual for empowering non-designers with how-to skills. Lupton describes herself as a libertarian who believes in an “open source movement,” and advocates advocates exposing all methods of production: to this end, she has taught a course on code writing with a graduate student at MICA, and recently hosted seminars on independent publishing and blogging for designers and writers. Lupton received the AIGA Gold Medal in 2007 as she is this profession's constant reminder to strive for conceptual depth, avoid style over substance and be smarter than we think we can be. She has contributed to various publications, including Print, Eye, I.D., Metropolis, and the NYTimes.com. Her editorial illustrations have been published in The New York Times. A frequent lecturer around the U.S. and the world, Lupton will speak about design to anyone who will listen. 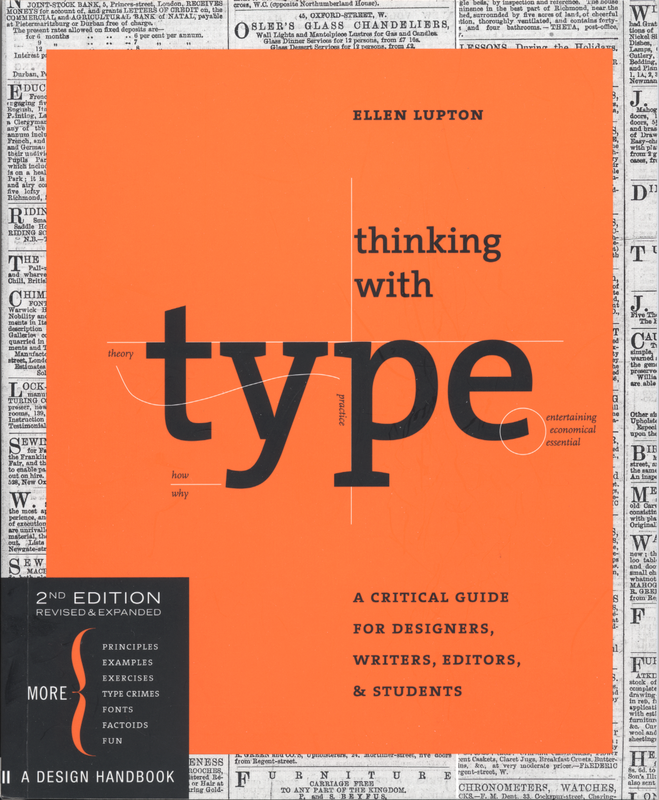 This is a type book for everyone: designers, writers, editors, students, and anyone else who works with words. Presented through succinct, decisive language and carefully curated examples, the book explores the history, theory, and practice of typography. It serves as a handy reference, a classroom textbook, and a welcoming introduction. The main point of Thinking with Type is this concept of education. Lupton is exposing the knowledge of the publishing industry to all its members instead of restricting it to the elite designers. A lot of Lupton’s work is about sharing information and making it easy to be understood. Throughout the book, visual examples show how to be inventive within systems of typographic form–what the rules are and how to break them. The interior of the book is simple on the use of colors with the text being only one of two colors: black or red. Ellen Lupton has a strong affinity for Scala Serif which is clearly seen in this publication, but as the book gives many examples of layout and type choices, Scala Serif is not the only typeface used. In addition to the type, tan blocks are used to provide examples as well as a wide variety of published cover and layout examples. D.I.Y. was written, researched, designed, and produced by students and faculty in the Graphic Design MFA program at MICA. Directed at general readers, the book has been sold in a varity of non-traditional venues. Embracing the do-it-yourself revolution in art, design, and technology, D.I.Y. has helped expand the discourse of graphic design. D.I.Y. has received both positive and negative criticism, which Lupton predicted. Some are concerned that the designing profession will be devalued by an increase in the number of self-taught designers. Lupton believes, however, that an increase in the public’s knowledge about design is a good thing, that a dispersion of knowledge will raise the general literacy about design and will therefore improve the overall market. The controversy around D.I.Y. involves questions of commerce, but it also encompasses theoretical questions about politics, culture, and social conditioning. 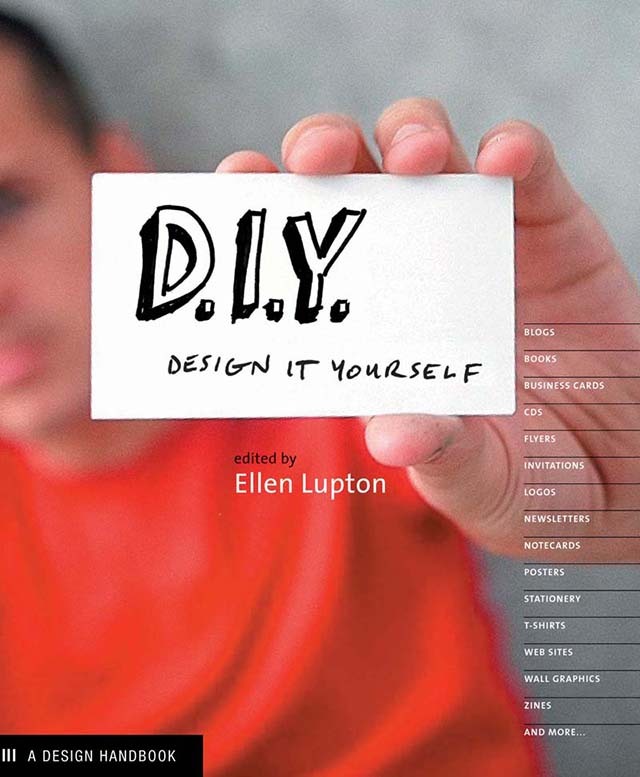 Lupton believes in an “open source movement,” of which D.I.Y. is a part. She believes that the entrepreneurial attitude present in D.I.Y. is inherently political in nature.